Is There an Acne System That Works? The advantage of an acne system is that you can get multiple products to fight acne in multiple ways. And since you are getting all your products from the same vendor, you avoid buying duplicate products and you pay a little—or a whole lot—less for each unit of product. Different acne systems, however, offer differing levels of skin care results. Let’s look at the most popular acne treatment systems in terms of pros and cons. 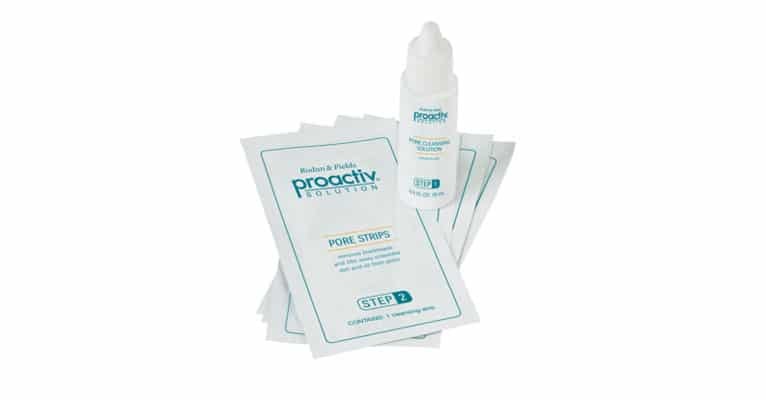 The Proactiv pore cleansing system is inexpensive, but it uses alcohol which can dry the skin. Acne systems provide a collection of products to fight acne in multiple ways. The NuSkin Galvanic Skin Treatment System offers two products (neither of them in any way “galvanic” in the sense of being related to electricity) that foam on your skin and warm your skin. It may feel good, but it will make pimples redder. The Olay Regenerist Microdermabrasion and Peel System will help you rub and scrub blemished skin, but it won’t do anything you could not do with baking soda and apple cider vinegar or baking soda and buttermilk. The Patricia Wexler acne treatment systems work—and cost about three times as much per bottle as Exposed Skin Care. The Proactiv Medicated Pore Cleansing System is cheap but relies on alcohol to cleanse your skin. Alcohol can dry out your skin. Bottle for bottle, Exposed Skin Care costs only about 1/3 as much as competing acne treatment systems, and comes with a one-year money-back guarantee. This two-part skin treatment system consists of a Galvanic Pre-Treatment, which is just a sudsing agent that works the same as as the chemical that makes suds in your toothpaste, and a Galvanic Treatment, which consists of plant extracts that “warm” your skin. If you happen to have rosacea, the “warming” of your skin with essential oils will cause it to break out. If you don’t have rosacea, it will just make it redder. But making pimples redder really is not a good idea. This treatment for blemished skin consists of a skin rub and a skin peel. The skin rub is baking soda that has been dyed orange. The skin peel is lactic acid, the alpha-hydroxy acid found in milk. You rub you skin with the baking soda, and then cover it with the lactic acid gel. The baking soda and lactic acid fizz and foam over your skin the same way baking soda and apple cider vinegar fizz and foam. Once the fizzing and foaming stops, you rinse the mixture off your skin. You could easily get the same results from baking soda from the box and apple cider vinegar from your cupboard for about US $0.25 a treatment. The Olay Regenerist Microdermabrasion and Peel System won’t hurt your skin, but it won’t do anything special for it, either. This acne control system consists of glycolic acid pads used to peel blemished skin to loosen blackheads, a skin neutralizer to stop the effects of the glycolic acid to prevent excessive peeling of the skin, and a hydrating moisturizer to keep the skin from peeling and flaking. There is enough glycolic acid in the pads actually to peel the skin, but it’s at such a high pH (apple cider vinegar is 100 times more acidic than these pads) that it won’t peel the skin very much. Since there is no risk of burning the skin, there’s no need for the neutralizing pads. The moisturizer is OK if you have dry skin, but if you have skin that is both dry and sensitive, the cypress oil in the moisturizer could make you break out in an allergy. There are much less expensive acne treatment systems that work a lot better for keeping your skin blemish-free. To use Dr. Patricia Wexler’s Resurfacing Microbrasion System, first you apply Skin Resurfacing Cream with MMPi. This product contains the aluminum oxide crystals used for microdermabrasion you would get at a spa. Instead of using a rotating brush to rub the crystals across your skin, you rub the cream over your skin with clean fingers. You wash off the cream and with it a small amount of cellular debris and discolored skin. Then you hydrate your skin with Intensive Hydration with MMPi, which contains ceramides and other skin-identical ingredients. This is not a bad treatment for your skin. But you can find equally effetive treatments for about $40 less (more about them at the end of this article). This Proactiv product consists of two parts. One is a medicated pore strip that you stick to your skin like a Bandaid, and the other is a pore cleansing solution that finishes the work the first part of the system does, at least in theory. The problem with this system is that it relies on something as sticky as duct tape to keep the pore strip on your skin, and then uses alcohol to dissolve skin oils and kill acne bacteria. The alcohol probably is necessary to get all the adhesive out of your pores, but it can dry out your skin and cause new spots of irritation. This acne treatment system is inexpensive, but it does not work. Exposed Skin Care offers a collection of six acne products for about the same price that many other companies charge for two. Their 6-piece kit provides a facial cleanser, a clearing tonic, a clear pore tonic, a moisturizer, a dermabrasion cloth, and membership in their “Club Exposed” which gives you a one-year money-back guarantee on all the products you try. The facial cleanser not only lifts grease, grime, and makeup off your skin, it also provides vitamin B5 and antioxidants for your skin, as well as alpha-hydroxy acids that remove dead skin cells and beta-hydroxy acids that relieve inflammation. The clearing tonic includes glycolic acid to break up clumps of dead skin in pores and to rejuvenate the production of collagen beneath the skin, as well as green tea and salvia (sage) extracts to reduce excess production of oil in pores. The acne treatment serum contains ingredients that prevent the formation of tiny bumps in the skin. It is useful for both everyday acne and rosacea. The moisture complex keeps your skin soft and flexible. It also brings out natural color in your skin with or without makeup. The dermabrasion cloth is an easy way to correct acne scars. You can slowly erase the ridges around scars, helping pitted scars spring up and raised scars lower into the skin. And with a one-year guarantee, you have all the time you need to make sure the products are right for you without risking money. Exposed Skin Care claims that 98% of its customers repeat their orders—because they offer the most cost-effective way to bring acne under control and keep skin blemish-free.